... and we couldn't be more excited! This page will serve as your one-stop information hub for all things Central Catholic. Please bookmark this page and use it as your website resource! Incoming families have not yet been provided with website login credentials. You will be sent login information for the school website in the coming months. Set up your CCHSRaider.net gmail account. Find out about Placement Exams. Sign up for a Class of 2023 Tech Training Session. Attend 'Technology at CCHS' on May 9 (for parents). Join us for Sports Camps, Clinics, & More! Log in and start using your new Central Catholic Raider email account to receive important updates and notices from CCHS. On the Sign In page, for USERNAME, enter your CCHS network login name: Your username is the first initial of your first name, your last name, and your year of graduation@cchsraider.net (example: user: Kevin Small, ksmall2023@cchsraider.net). **This account has already been created - pleaseDO NOT choose "Create an Account." Enter your password, which is cchs + your cchs ID # (example: cchs12345). You will not have the option to change your password. Follow the on-screen instructions to activate your account. Please check this account regularly for important updates from CCHS. Once school starts in September, you will be expected to check your cchsraider.net email account daily. If you have any issues logging in, please contact Mrs. Jodi Kriner, Assistant Principal: Dean of Innovation & Academics, at jkriner@centralcatholic.net. If you wish to challenge your placement in English, biology or social studies, you must take the English placement exam. If you wish to challenge your placement in mathematics you must take the mathematics placement exam. If you wish to challenge your placement in world language you must take the world language placement exam. If you wish to challenge your placement in computer science you, must take the Computer Science Programming Assessment. Students may take more than one placement exam but only one exam can be taken each day. There is no fee for the exam(s) but you must register for each exam. A placement exam in English is offered to 8th graders who have been placed in English I (Level 2), and/or Biology (level 2), and/or European Civilization (level 2.) If you wish to challenge your placement and move to Honors English I (Level 1), and/or Honors Biology and/or Honors European Civilization you must take the English exam. The score on this untimed, internal assessment will determine if your reading/writing skills qualify for the programs. A student who qualifies on this exam may take any or all of the above named classes. Students who have participated in Spanish or French programs in middle school or who are native speakers are encouraged to take a language placement exam. Based on the results of the exam, students will be placed in a world language class that is appropriate for their skill level. Two different exams are offered in math. A placement exam in algebra is offered to 8th graders who have been placed in Algebra I (Level 2), course # 312, but who wish to challenge their placement and move to Honors Algebra I & II (Level 1), course # 311. Scores on this untimed, internal assessment will determine if your child should move into the Honors Algebra I & II math program. Students who have completed Honors Algebra I as 8th graders and have been placed into Honors Algebra I & II, course # 311, may take a placement exam to determine placement in a more advanced honors math class. Scores on this untimed, internal assessment will determine if your child should move into Honors Algebra II/Honors Geometry (Level 1), course # 326. Each exam takes approximately 1 ½ - 2 hours. Students may take more than one exam, but only one exam may be taken each day. A computer science programming assessment exam is offered to 8th graders who have participated in a computer science programming course or are proficient in a computer language. There is no fee for the assessment but you must register. The assessment consists of a series of written questions that will require students to demonstrate problem solving and programming skills. Students will not be using a computer for this assessment. Students who demonstrate proficiency in the area of programming will have the option of taking Honors Video Game Design I, Course # 701 in place of Problem Solving with Programming, Course # 716. The assessment is untimed and will take approximately 1 – 1 ½ hours. Use your CCHS email account to register. Includes the iPad buying guide, frequently googled questions, and the listing of Tech Training dates. Click here for information about Summer Term and Summer Enrichment Programs. Students are invited to participate in Summer Reading for Pleasure and Credit. This program is designed to encourage students to develop a love of reading with all of its attending benefits, both academic and personal. The books in this program have been chosen with pleasure reading in mind. Visit the Summer Reading page for more information, including the book selections for each class. The cost of the program is $10 per student due at registration, nonrefundable. Parents should be sure to attend "Technology at CCHS: Class of 2023 Parent Information Night" on Thursday, May 9 at 6:00 PM in the Rogers Memorial Theater. CompSci2023: Principles & Topics in Computer Science. Find out about Sports Camps & Clinics and Fine & Performing Arts Programs. Shirts, sweaters, fleeces, pants, and physical education uniforms with the approved CCHS logo are part of the school dress code and are purchased through Lands’ End School Uniforms. You can view the selection of acceptable dress code clothing by creating a profile or using our preferred school number 900033143 on the Lands’ End website. Dress code shoes must be leather boat shoes in brown, black, tan, navy blue, or gray. More detailed information on appearance and attire will be available in the 2019-2020 Student/Parent Handbook and will also be addressed at the Freshman Parent Welcome Night in early September. The Parents Guild is hosting a gently used uniform sale on Thurs., June 6, 2019 from 5:30 PM to 7:00 PM in Baroni Hall - South Wing. Not sure what size your student needs? Lands' End representatives will be visiting the school in June to give students the opportunity to be fitted properly before ordering their dress code apparel. Products will be available for try-on. Staff will be available to assist with questions and sizing. Textbook information is finalized in May and will be posted on the website and emailed to families. May 2019: The final book list will be posted to Central Catholic High School’s Textbook Page. Families will be emailed when this list has been posted. August 2019: Follett Virtual Bookstore launches for the 2019-2020 school year. August 23, 2019: Deadline to purchase electronic books through Follett to guarantee they will be in students’ Virtual Backpacks for the start of school in September. September 2019: Right after Labor Day, Follett Virtual Backpack launches for students. Incoming families have not yet been provided with login credentials. Please use this page as your website resource. You will be sent login information for the school website in the coming months. Online bus transportation registration for the 2019-2020 school year is now open! Please visit our transportation page to register for bus routes and for information on carpooling, bus routes, and more. 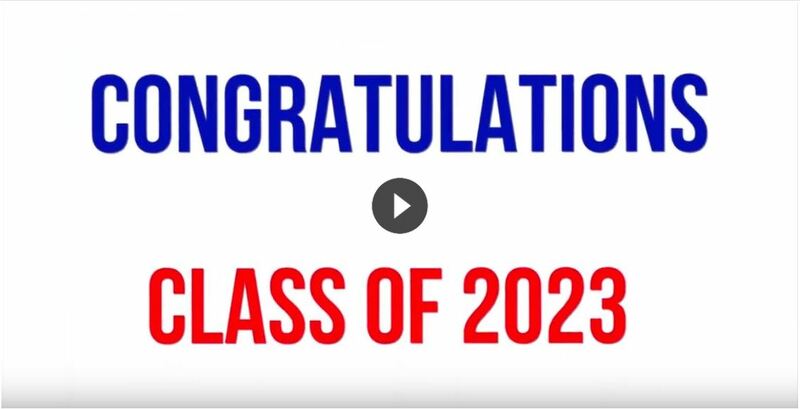 Thank you to the students who created this video to welcome the Class of 2023 into the Central Catholic Family: Sophia Caffrey '21, Aiden Charles '21, Kendall Hulburt '21, and Andrew Plentzas '21. Join us for our Spring Chorus Concert on Fri., April 26, at Central Catholic High School. Our a cappella group, Central Harmony, and our Concert Choir will perform, beginning at 7:00 PM. Catch a wave with the Red Sea! Join us as we root on Raider Athletics! For schedules and updates, visit the MVC schedule page and follow CCRaider_sports on Twitter. Go, Raiders! Take a turn on the Catwalk! Come to Central Catholic's Catwalk4Cancer on Sat., April 27. This student-powered fashion event combines a love for fashion with an incredible cause, helping people with cancer. Click here for more details and to purchase tickets. Enjoy the Art Expo & Band Concert! Join us on Thurs., May 2, for our annual Art Expo at 5:00 PM featuring drawings, paintings, photography, sculptures, and light food, followed by our Spring Band Concert at 7:00 PM featuring our Jazz Band, Percussion Ensemble, Concert Band, and Chamber Ensembles. There's Always Something Happening in Raider Nation! Follow this link to secure your seat in the Class of 2023 at Central Catholic High School, if you have not done so already.